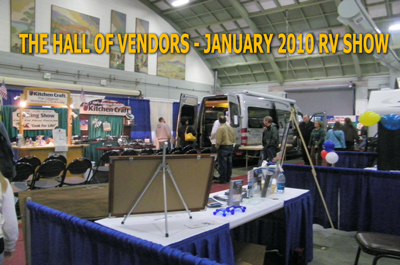 See 100s of RV manufacturers' lines --new and used RV's -- speak directly with many different dealers and representatives and ... do it all in one convenient location -- the Alameda County Fairgrounds in Pleasanton California. Here at GoodTimes Promotions, we make it easy for you to make your dreams come true! Here's your chance to check out some of the largest and best RV Shows on the West Coast! We are signing up DEALERS/VENDORS/SPONSORS for ALL OF OUR UPCOMING SHOWS! Or complete the form below to receive a dealer/vendor packet - and have one of our representatives contact you. Everything you'll need to participate in one of our shows! Copyright 2017 GoodTimes Promotions, Inc. All rights reserved.